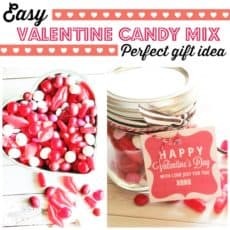 This Easy Valentine Mix will make the perfect snack in February. Wrap it up in a mason jar for the perfect gift to give friends and neighbors. Valentine’s day is a perfect day to gift. You might also enjoy making this mix to keep in your candy dish. Simply Buy and mix together the following candy. They taste perfect together. You can also change it up to be all of your favorite candy if you like. You might even want to add in valentine s day jelly beans. Here is what I used in my mix. 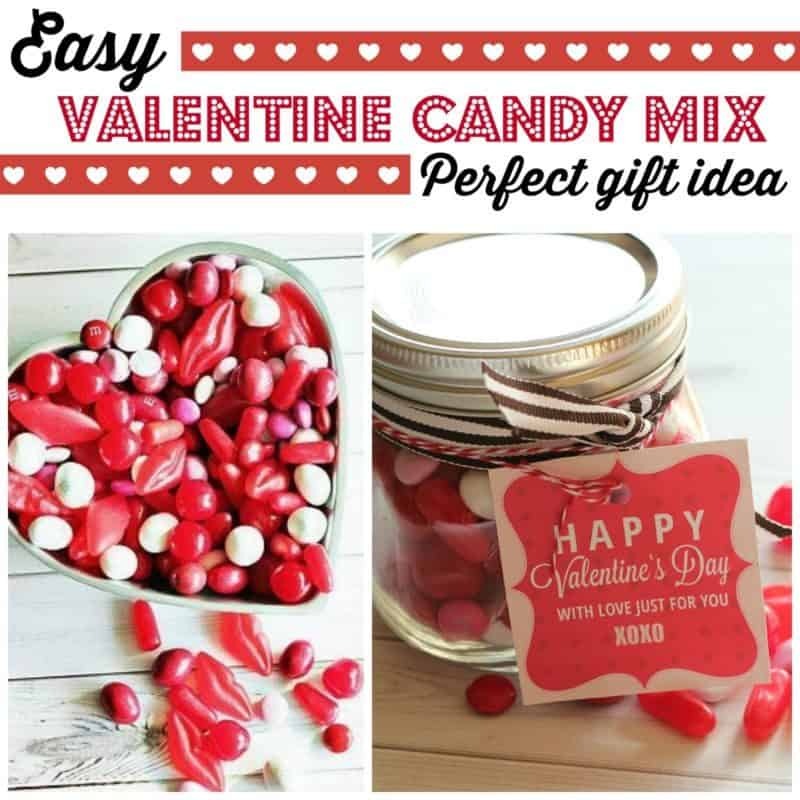 Mix this Valentine candy together to make the perfect Valentine candy mix. Simply buy all these candies and mix them together. Find a fun candy dish to make a festive Valentine Decoration. 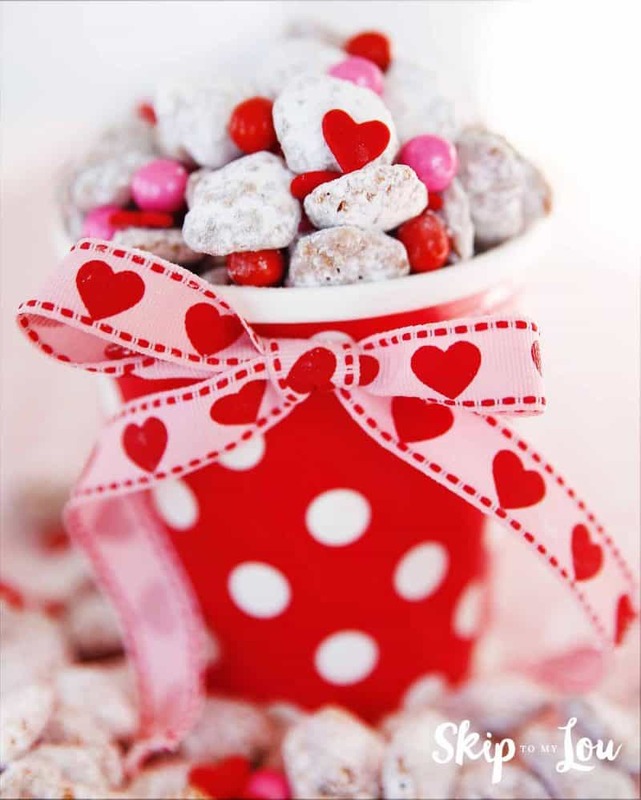 We also love puppy chow so making Valentine Puppy Chow seems like a great thing to do. It is quite addictive! Corn and rice cereal covered in a layer of milk chocolate and peanut butter then coated in powdered sugar. What is not to like? 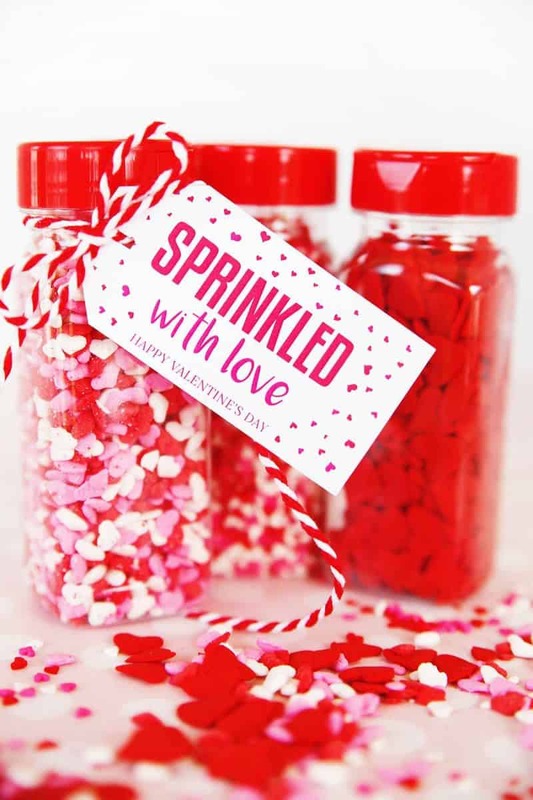 Sprinkles Valentine’s gift is perfect for a friend that loves to bake or anyone that loves sprinkles! It doesn’t get any easier than this gift idea making it a super last minute gift idea. 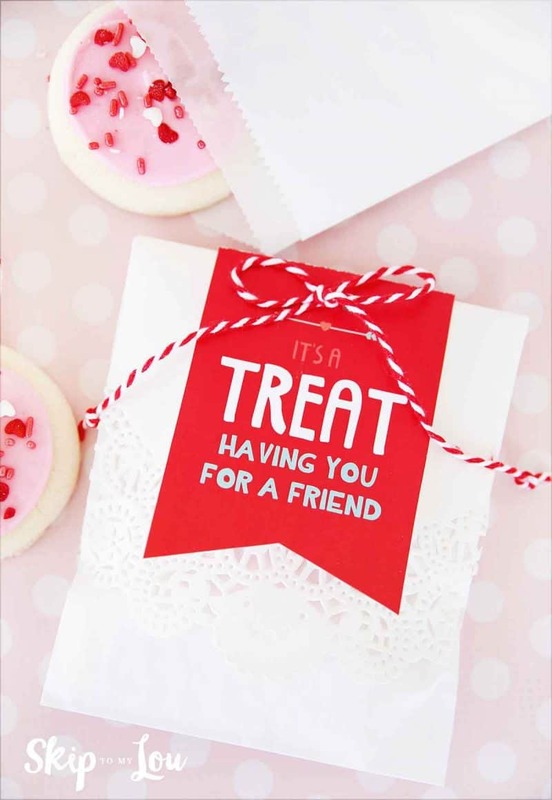 These Valentines Day tags will help wrap up your goodies (or the candy mix you made above) while letting your friend know that you think it is a treat having them for a friend. 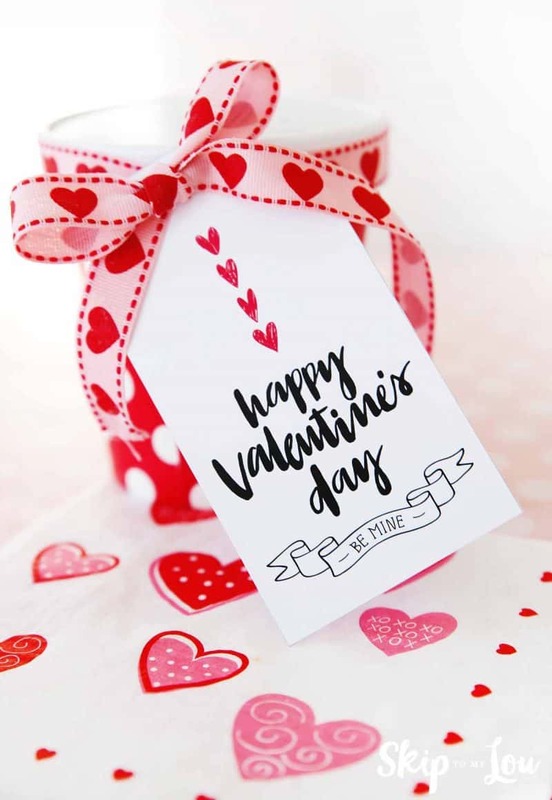 Enjoy these free printable Valentine gift tags when you have a gift that needs a little gift tag. It is so easy to make someone feel special this Valentine’s Day.